Stephen Michael Edwards, of Ripon, California, passed away peacefully at home on August 27, 2018, following a brave three-year battle with cancer. Stephen is preceded in death by his mother Muriel Anderson and father Bob Lynn Edwards. He is survived by his wife Janet Mitchell Edwards of Ripon, California, son Jason Edwards of Arizona, and step-children Allison (Dan Clark) Mitchell and Lynn (Jason) Heffner of Oregon, and Brian Mitchell of Florida. He had three sisters, Mary Ann Edwards of Washington State, Elaine (Roger) Schafer of Colorado, and Diedre (Andrew) Tagg of Roseville, California. He also had three brothers, John Edwards of Fremont, California, Bobby (Connie) Edwards of Livermore, California, and Christopher (Cindi) Edwards also of Washington State. Stephen had many loving nieces and nephews and was a proud “Grandpa Steve” to he and Janet’s blended family of 14 grandchildren and a recent great-grandson. Stephen was born on May 6, 1958, in Albany, California. He spent his youth in El Cerrito, California, and then attended college where his early love of cinematography began to blossom. He got his first job as a cameraman at KICU Channel 36, a San Jose television station, by offering to work for free. “I’ll carry your gear if you teach me what you know” was an offer they couldn’t refuse. Stephen was then quickly hired on as news cameraman and editor by KNTV Channel 11, then an ABC affiliate in the San Francisco Bay Area. He spent the next 30 years behind a viewfinder in his career as a broadcast news cameraman and as Director of Photography and owner of Pro Video Productions in the San Francisco Bay Area. He sold the business in 2012 and he and wife Janet made the move to Jacksonville, Oregon to begin pre-retirement life. Stephen then made the transition to fine art photography. His work in black and white film photography was featured in several local galleries, including in nearby Ashland. From a very early age Stephen was exposed to his grandfather’s photography and darkroom and coveted his Voigtlander Bessa camera that was later handed down to him. Backpacking and motorcycle riding were a big part of Stephen’s young adult life. Later, he grew an interest in exotic sports cars, and especially enjoyed the restoration of his 1978 Fiat Spider. He was an avid gardener, enjoyed reading legal thrillers, and was a self-described “foodie”. A vast collection of vinyl records was enjoyed on Sunday mornings, including his favorite song, “Forever Young” by Bob Dylan. A return to California was preceded by Stephen’s illness so that he could be closer to Stanford Medical Center for the many treatments that he felt lucky to receive. He was one of the first set of patients in the U.S. to receive immunotherapy for his type of cancer, though it was not targeted enough for the rare variant. 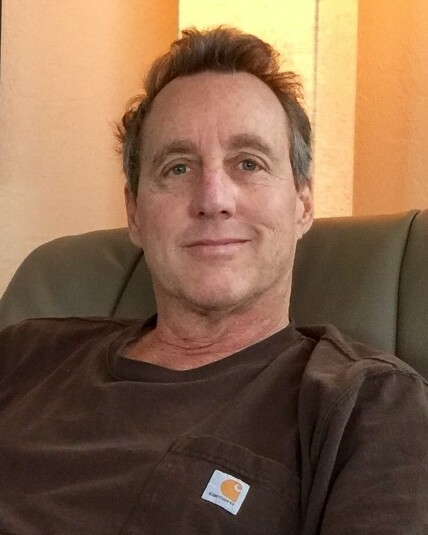 Stephen was always grateful for the care and personal attention he received from his Stanford Cancer Center care team and the loving care and devotion of his family during this trying time. Stephen and Janet spent his last days enjoying art, nature, and music, and visiting their special places near the ocean, including Yachats, Oregon, and Stinson Beach, California. A private Celebration of Life will be held. Memorial donations can be made to the American Cancer Society (donate3.cancer.org), Community Hospice, 4368 Spyres Way, Modesto, CA, or any other charity of your choice.